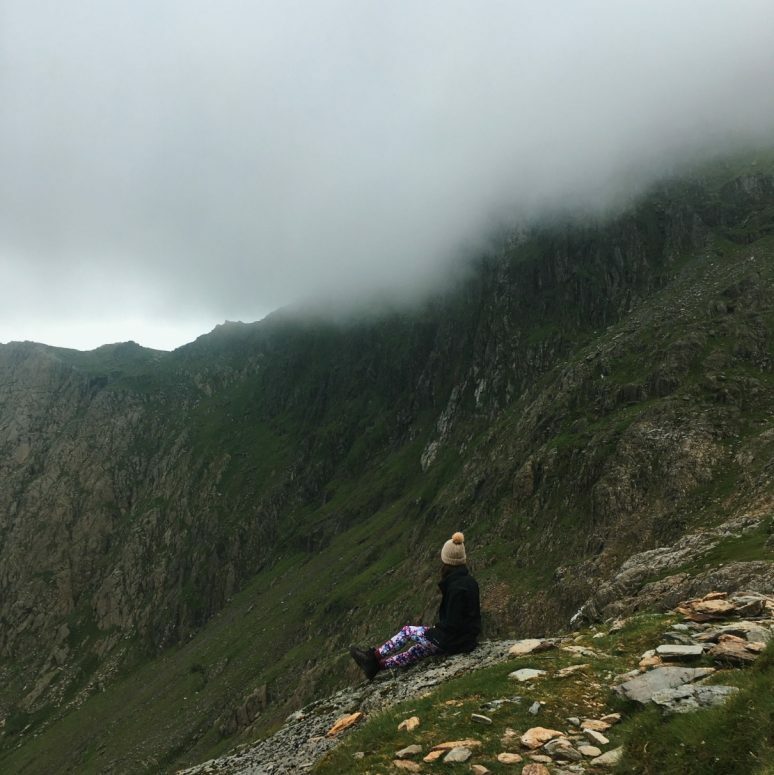 There is so much more to the U.K. than London and, whether you’re a visitor or permanent resident, hiking Mount Snowdon in Wales needs to be on your bucket list. 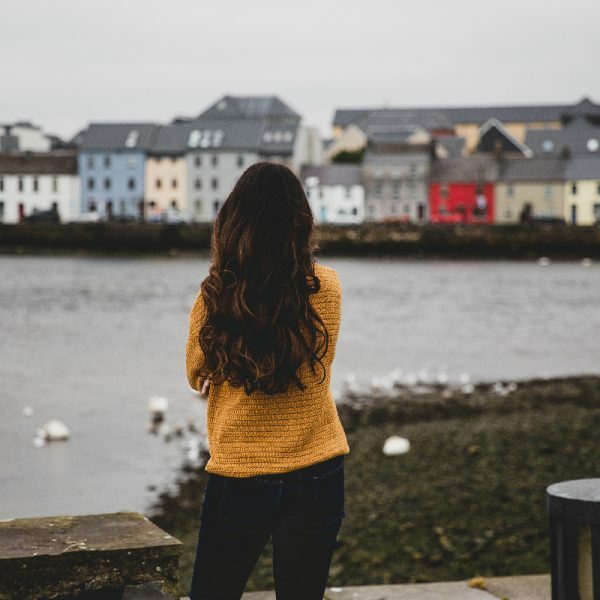 The landscape in Wales allows you to experience the nature of New Zealand’s vast mountains and raw beaches without travelling to the other side of the world. 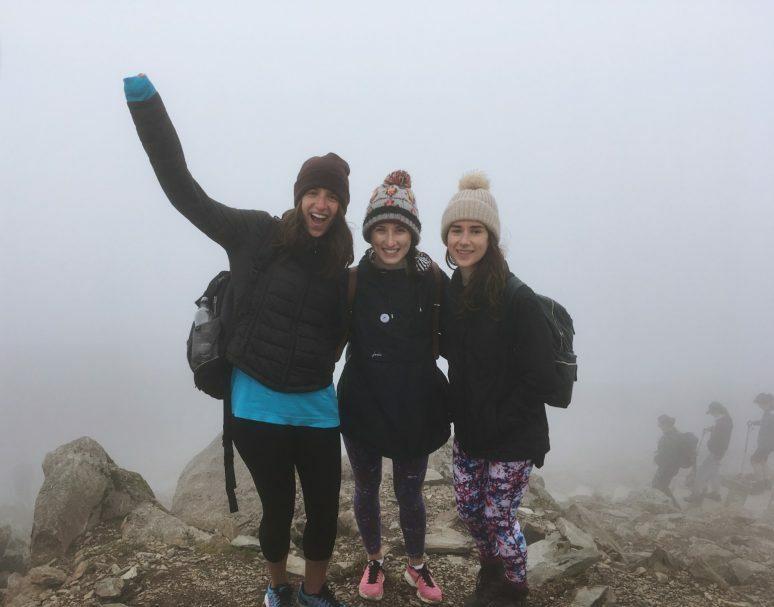 Mount Snowdon is located in Snowdonia National Park, North Wales (around a five hour drive from London, easily achieved for all you weekend warriors). 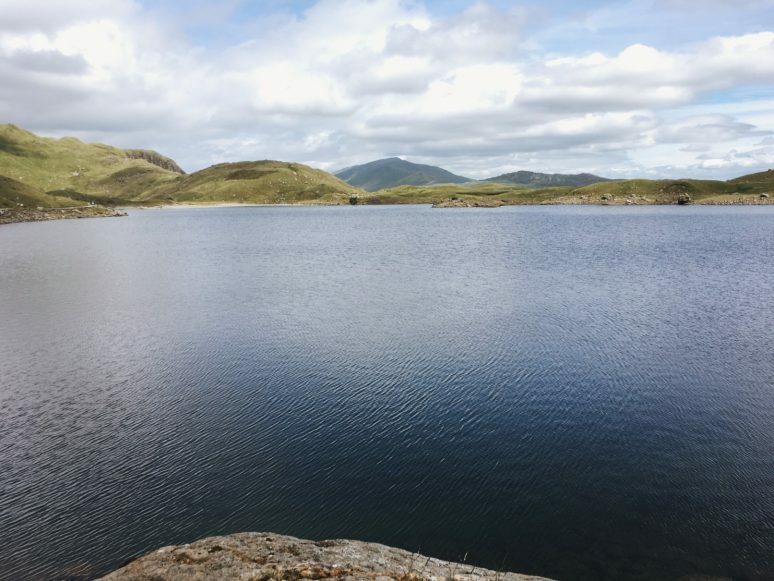 Besides from sheep, when hiking in Snowdonia you can expect to find mountains, lakes and pubs – all you really need for a city escape! Make sure you pay for day parking (under £10), as the hike itself is roughly five to seven hours. Then navigate your way on foot to the start point in the Pen-Y-Pass carpark. 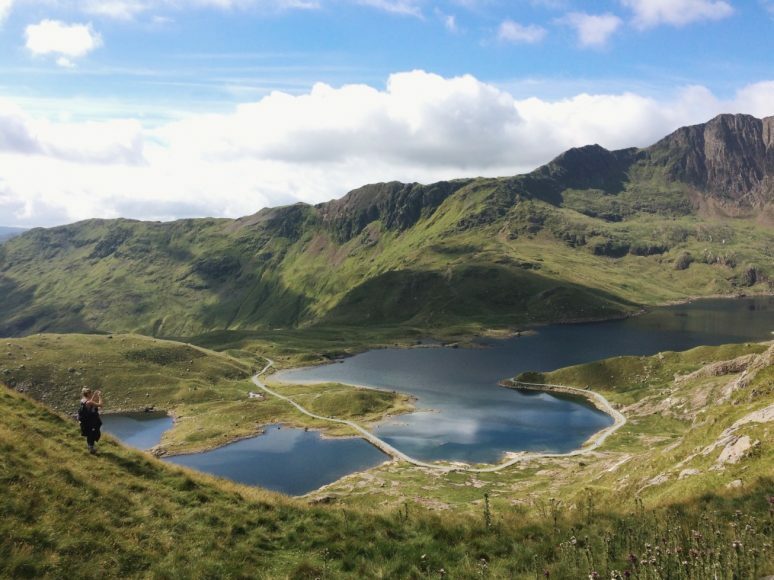 Going up Mount Snowdon via The PYG Track gives you the shortest route with maximum views (a wise choice!). 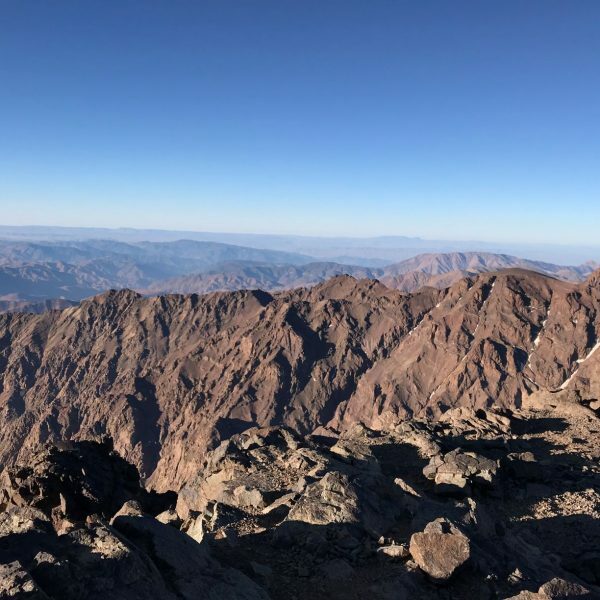 You don’t need to be a professional mountain climber for this track, however it does become steep in places so you may need to hold onto a few rocks to balance yourself. Starting off the hike you will be following an obvious path made up of rocky steps. This track will soon flatten out and you should be able to see Snowdon’s peak, weather permitting! The track eventually follows the hillside above the gorgeous lake, Llyn Llydaw. Make sure you stop for photos as you won’t be coming back this way! The sun came out just as we arrived above the lake, so I took this as a sign for lunch and had a well-earnt break. You will notice when the Miner’s Track joins the PYG as the path becomes rockier and isn’t always so clear cut. Make sure you are following the route keeping right, to avoid scrambling on a non-existent path to the left. 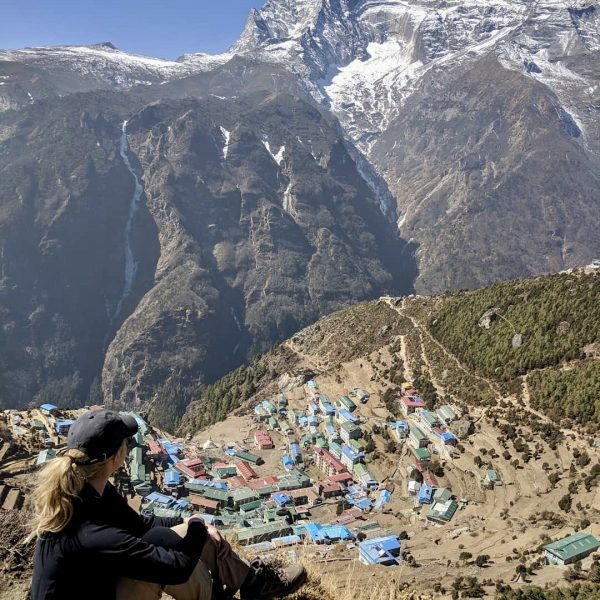 Upon reaching the sheer cliffs above you, take a break and get that extra layer ready as you are about to ascend even higher! The track returns to an obvious path as you zig-zag up following somewhat steep horseshoe bends. Taking the track to the left you will be SO close to the summit, keep going! Walking parallel to the railway (there is a train that can take you to the top but where’s the adventure in that?) you will still be ascending. Finally you will meet concrete steps that take you to the official summit! Both times I’ve hiked Snowdon there have been clear skies on the ascent but I always end up in cloud on the summit. Nonetheless, the sense of mountain achievement makes up for any lost views and fires me up ready to tackle the track down! Tourist Note: For those thrill-seekers who opted for the Disneyland train up Snowdon, there is a café that serves food, drink and ice-cream at the top, however it can get rather busy at times. Coming back down Snowdon is half the fun. You are aiming to end up on the Miners Track but will have to retrace your steps using the PYG trail along the zig-zagged path first. Keep following the PYG looking out for a stone marker indicating the Miners Track, which will veer off downwards and right. It can be a slightly scrambling descent so take it slow, whilst stopping for more food and photos on the way down. The path then levels out and runs alongside two lakes, Glaslyn and Llyn Llyaw, which you would have admired from above on the PYG track! The path will then cross a causeway heading away from the PYG track above you. The route will remain flat for the rest of your hike, passing by some old mining buildings (hence the name: Miners Track). 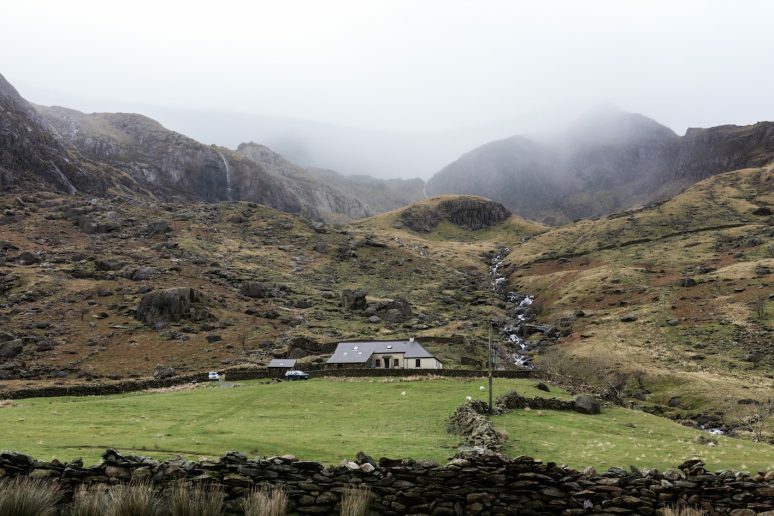 Both times I’ve been hiking in Snowdonia National Park I have always stayed at a hostel (not because I’m a hard-core backpacker but trips to Wales tend to depend on the weather so are booked last minute). I would highly recommend staying at Plas Curig Hostel in a private room if budget allows. It has everything you need, plus it’s cosy and rustic, without feeling like you’re staying in a hostel. I’ve also stayed at the YHA Bryn Gwynant, which was a lot more basic however the views across the lake were incredible and worth getting up at sunrise for. If you prefer a slightly more luxurious bed then you can find hotels dotted around Betws-y-Coed, which is a picturesque village within a 20 minute drive of Mount Snowdon. No joke, on a separate trip, my best friend ended up being rescued by the Coastguard helicopter from Snowdon after taking a streak of wrong turns and finding herself on a ledge. You do NOT want this to happen (although it makes a great story and a free helicopter ride). She was incredibly lucky that the weather didn’t turn as it could have ended very differently. Check before you go! Google what the weather is doing and ask the hostel/hotel reception what the latest updates for Mount Snowdon are. Remember it can be at least 10 degrees colder up a mountain so be prepared. Take plenty of water and food. Food breaks = life! I need to know I’ve got some chocolatey snacks waiting for me at the top of the mountain in order to motivate the next climb. Pack a mini first-aid kit. With parts of Mount Snowdon being tricky to reach should the weather turn, make sure you have all the basics just in case. 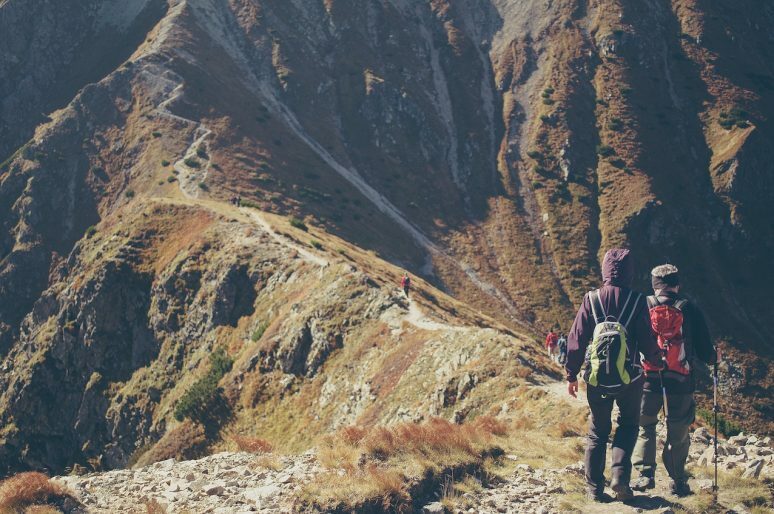 Wear hiking boots or sturdy trainers! 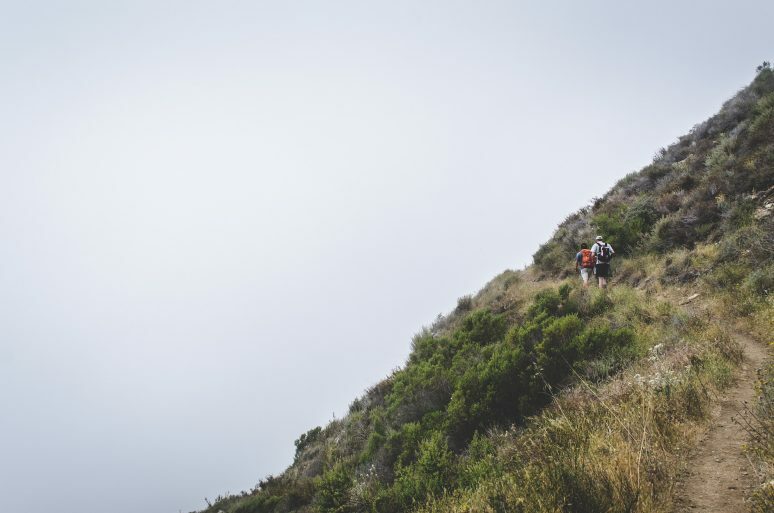 Yes it seems obvious, but on some hikes I’ve seen people in Vans or Converse…you will need good ankle support on the rocky paths. Tell someone your route! 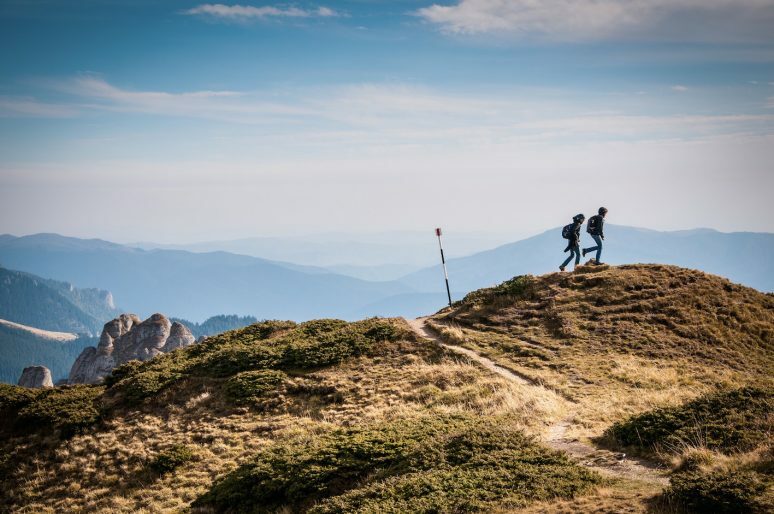 I’ve learnt to ALWAYS do this (as I’ve been known to venture up a mountain solo – would not recommend) so whether it’s a text to your Dad telling him which route you are taking or simply letting the hostel reception know your plans for the day, tell someone where you are going! 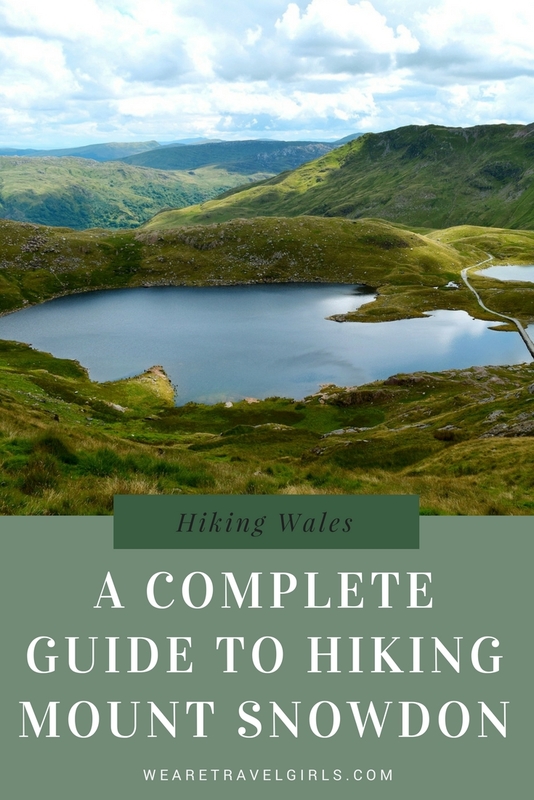 Familiarise yourself with Welsh mountain hiking safety – it’s always a good idea to bring a printed map when tackling day hikes in the unpredictable U.K. 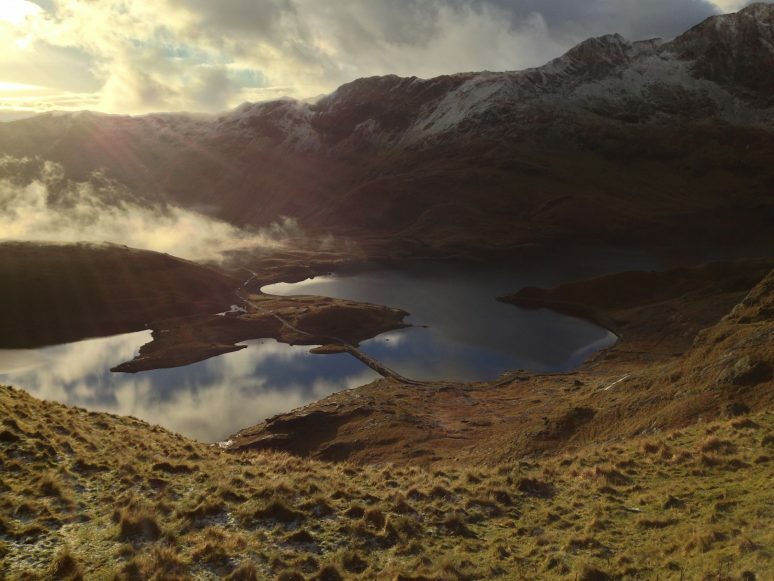 So, if you need a breath of fresh mountain air or an escape from the city, Snowdonia needs to be on your agenda. Ticking off the highest mountain in Wales feels so satisfying and will no doubt leave you wanting to add all the U.K. peaks to your bucket list afterwards! 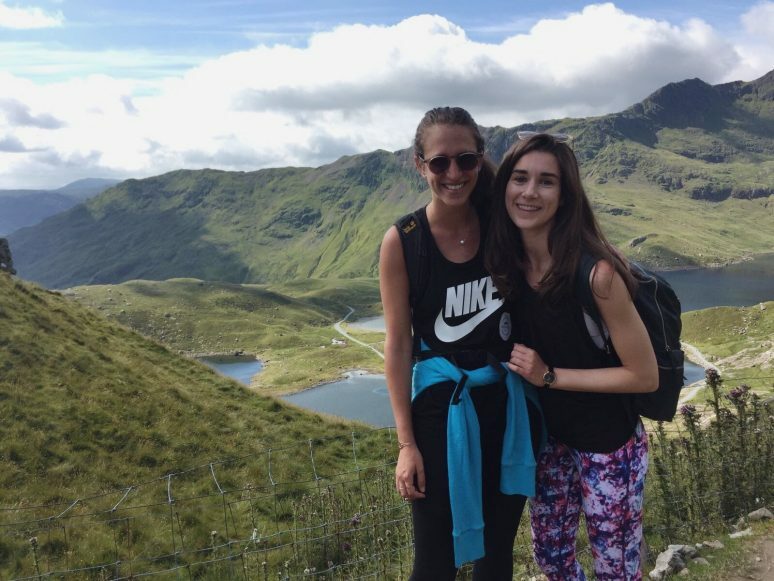 Have you hiked Mount Snowdon? If you have any additional tips for our readers or questions for me please leave these in the comments below.